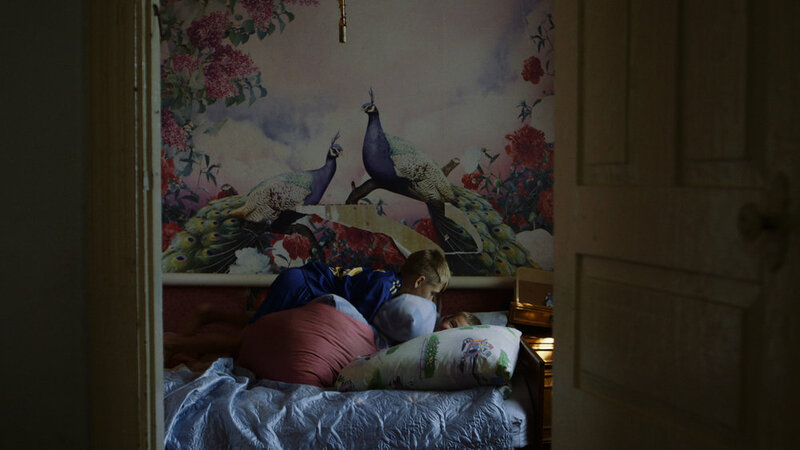 Oleg lives with his beloved grandmother, Alexandra, in the small village of Hnutove. Having no other place to go, Oleg and Alexandra stay and watch as others leave the village. Life becomes increasingly difficult with each passing day, and the war offers no end in sight. In this now half-deserted village where Oleg and Alexandra are the only true constants in each other’s lives, the film shows just how fragile, but crucial, close relationships are for survival. Through Oleg’s perspective, the film examines what it means to grow up in a warzone. It portrays how a child’s universal struggle to discover what the world is about grows interlaced with all the dangers and challenges the war presents. THE DISTANT BARKING OF DOGS unveils the consequences of war bearing down on the children in Eastern Ukraine, and by natural extension, the scars and self- taught life lessons this generation will carry with them into the future. EIDF, Seoul, South Korea, 2018.